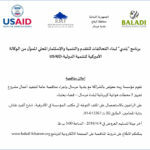 As part of the Baladi Program, RMF and the municipality of Arsal are calling for an invitation to bid to equip the village with 5 Electrical Transmission Stations. 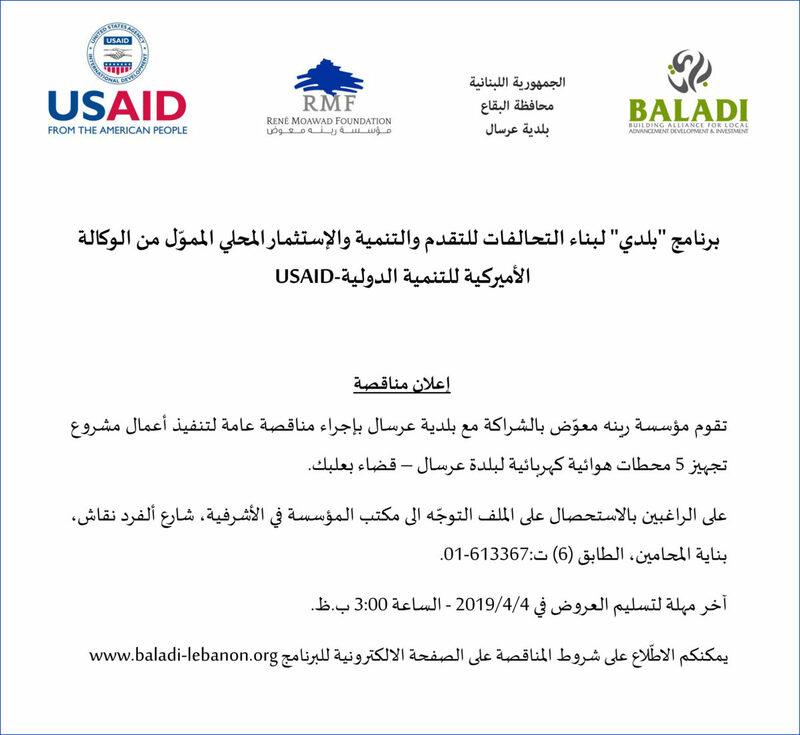 Interested applicants can obtain the file from RMF office in Ashrafieh. For more info on the bidding conditions, kindly click here.